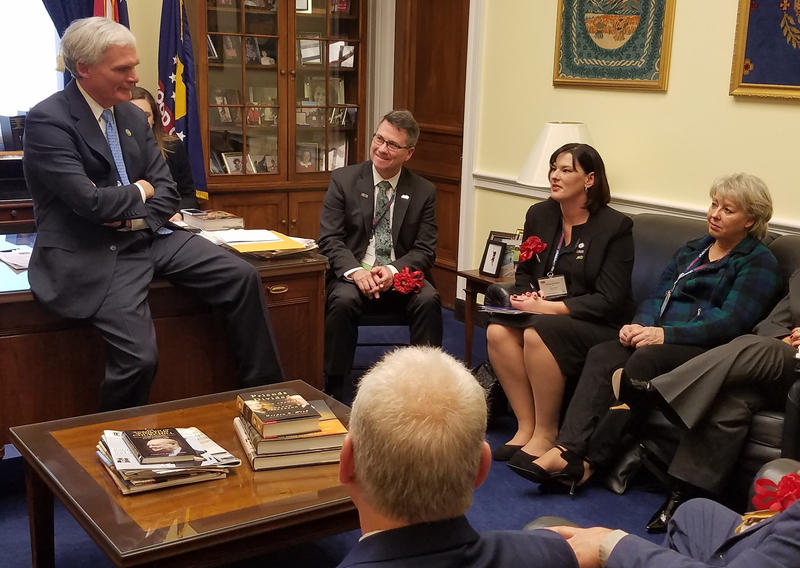 Mayor Carrie Schlade and BMU representatives recently met with federal legislators in Washington, D.C. to discuss issues impacting local electric rates. Mayor Schlade, Board of Public Affairs member Karen Ford, Director of Utilities Kevin Maynard and Operations Manager Dawn Fitzcharles traveled to Washington, D.C. February 26-28 to participate in the annual American Public Power Association (APPA) Legislative Rally. 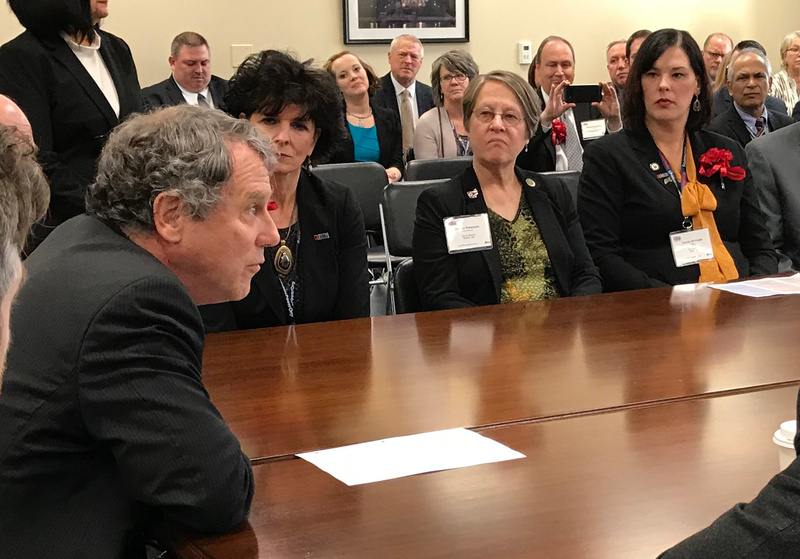 City representatives received updates on legislative and regulatory issues affecting the electric utility industry and met with Congressman Bob Latta, Senator Rob Portman and Senator Sherrod Brown. Topics of discussion with these legislators included local financial impacts of federal sequestration on Build America Bonds (BABs) and the increasing cost of electric transmission. American Municipal Power (AMP) issued $2.9 billion of BABs on behalf of the City of Bryan and other AMP member communities to help finance construction of a number of electric generating projects. These include the AMP Combined Hydro (Cannelton, Smithland and Willow Island) Project, Meldahl Hydroelectric Project and Prairie State Energy Campus. In 2013 Congress reduced BABs interest rebates as part of the federal sequester. These sequestration impacts are projected to cost BMU electric consumers $863,085 from 2013-2027. City and AMP staff requested the legislators’ assistance in restoring BABs interest rebates to pre-sequestration levels. In recent years, the City has experienced significant increases in the cost of transmitting power to Bryan over the high-voltage transmission grid. Projected 2018 transmission costs are $444,935 greater than 2017 expenses, representing approximately 27% of total power supply costs. Transmission costs for a typical Bryan residential electric customer are projected to increase by approximately $17.42 annually to $143.29 per year. The table below includes historic and projected annual BMU transmission costs. City representatives asked federal lawmakers to support greater Federal Energy Regulatory Commission (FERC) oversight of proposed transmission system improvements with a focus on system reliability and consumer financial impacts. Approximately 55 representatives from 27 AMP member communities in Ohio, Delaware, Kentucky, Michigan, Pennsylvania and Virginia attended the APPA Rally, joining more than 600 elected officials and staff members from public power communities across the nation.